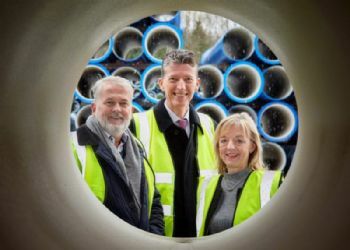 Chesterfield-based Electrosteel Castings UK Ltd — a supplier of ductile iron pipes, fittings and ancillary pipeline products to the UK water and waste-water industry — is expanding internationally with the support of Barclays; new funding has enabled it to successfully bid for an overseas contract in Malta. Managing director Stewart Bailie said (www.electrosteel.co.uk): “We’ve been banking with Barclays for over 13 years, so we were delighted when they were able to help with funding for this important contract in Malta, which is pivotal in our expansion plans. Electrosteel employs over 40 people, and its turnover in the last financial year was £12.4 million.